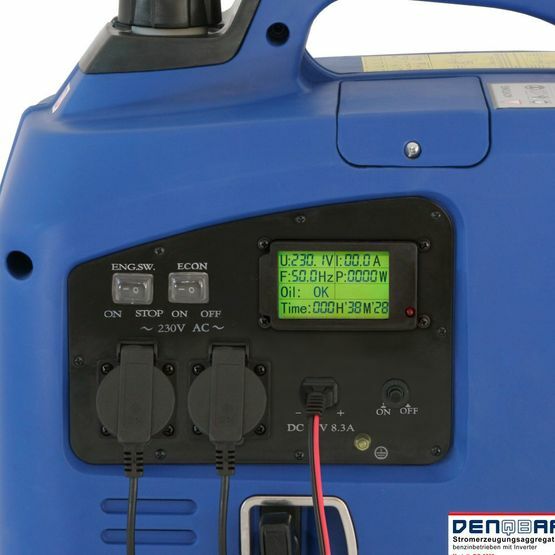 Datasheet of the DENQBAR Inverter power generator DQ-2200 to download. Aeromodelling is gaining popularity all around the world. But there is no flight without sufficient battery power. 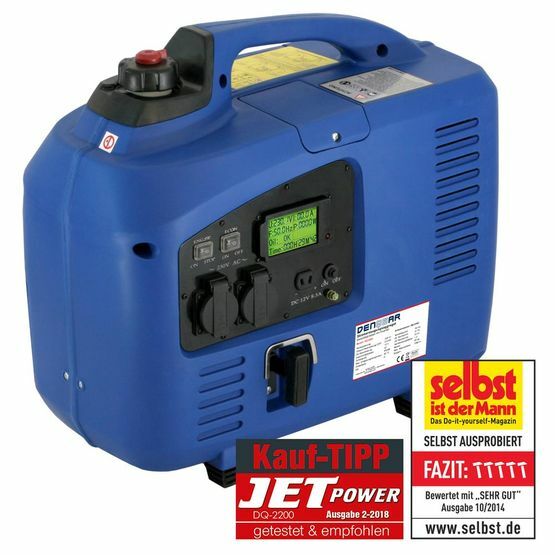 The solution is simple: Just use a mobile power generator for charging the batteries on the airfield. 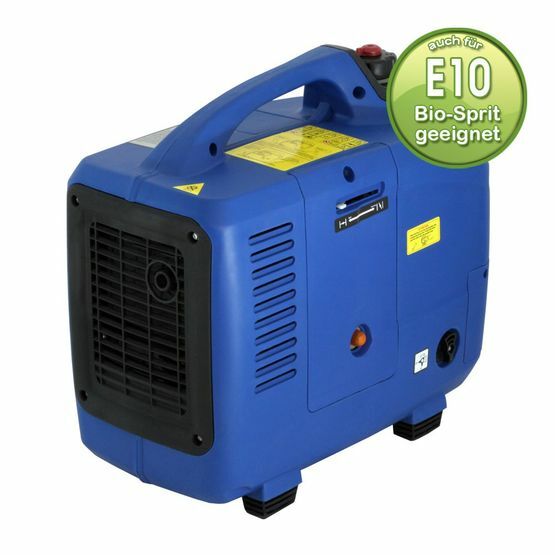 Therefore, our DQ-2200 has been subjected to a test of the JET POWER, convincing in smoothness, reliability and flexibility. Conclusion: the DENQBAR power generator is clearly recommended by the editors! The world is turning faster and faster and the days are getting bustling. That's why more and more people are seeking for rest and relaxation during vacation. So how about camping in the beautiful nature? With the mobile inverter power generators from DENQBAR, you do not have to waive all sorts of amenities, in spite of seclusion, like heat, cooled drinks or a comfortable lighting. Since our devices also operate quietly, there are no obstacles to a relaxing stay in the countryside! 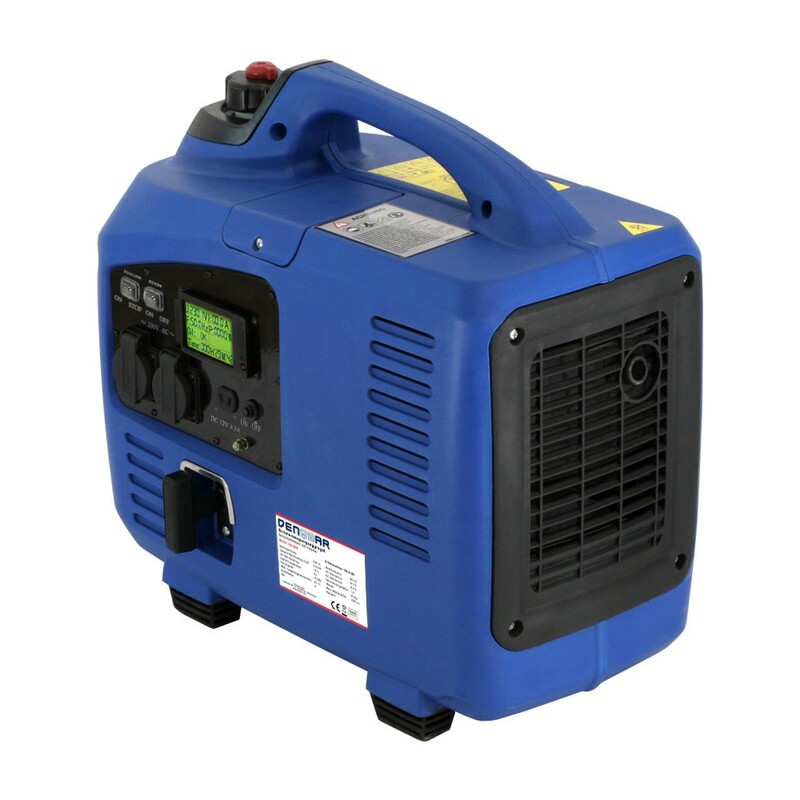 With our digital inverter power generator with a maximum output of 2200 watts, you are well prepared for a multitude of incurring tasks. The device easily transforms DC power into AC power to provide the ideal voltage and frequency for high quality and sensitive electrical engineering. A further advantage in ease of use is provided by the clear LCD display, providing information about the most important data, like output voltage, current power, operating hours counter, etc. 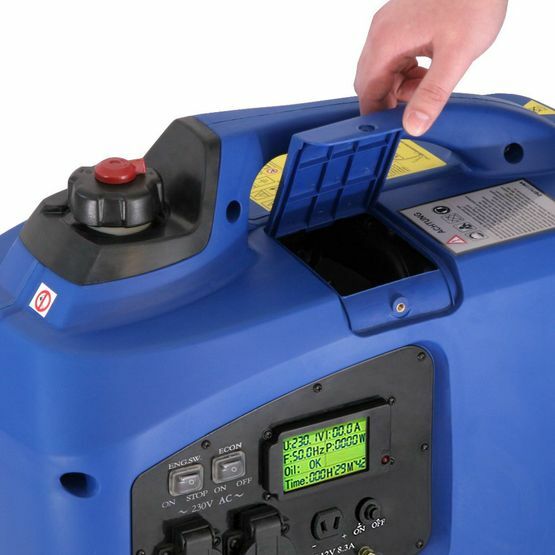 Of course, the DQ-2200 also offers a very useful eco-switch. In eco mode, the engine speed is optimally adapted to the required amount of electrical energy, meaning that the mobile power generator runs much quieter and burns less fuel than in unregulated operation. Therefore, you are not only saving money, but also protecting our environment!